Get ready for Extreme Weather across your cities, this is what the Climate Scientist are telling us.The scientist said to the top politicians, preparations will save lives and money otherwise weather extremes may overwhelm some locations, making some places uninhabitable. The Nobel Prize-winning Intergovernmental Panel on Climate Change issued a new special report on global warming and extreme weather after meeting in Kampala, Uganda. This is the first time the group of scientists has focused on the dangers of extreme weather events. MSN reports, lead author, Maarten van Aalst, director of the International Red Cross/Red Crescent Climate Centre in the Netherlands, as saying: “We need to be worried. 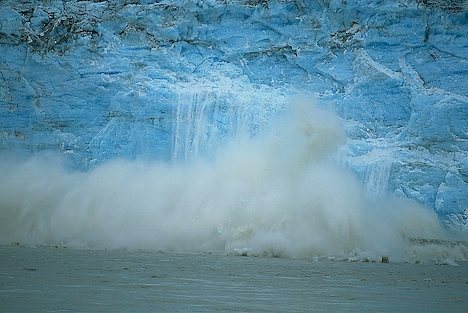 The report said “a changing climate leads to changes in the frequency, intensity, spatial extent, duration, and timing of extreme weather and climate events, and can result in unprecedented extreme weather and climate events” and that some of these extreme events are caused by the increase of man-made greenhouse gases in the atmosphere. Mr Field said scientists are not quite sure which will be the biggest threat to the world because disasters are weather extremes interacting with economics and where people live and it’s clear that losses from disasters are increasing, and in terms of deaths more than 95% of fatalities from the 1970s to the present have been in developing countries. The 29-page summary of the full special report, which will be completed in the coming months, said extremes in some unnamed regions at some point in the future could get so bad they may need to be abandoned. iPhone 5S - Blue Screen of Death? Previous: Eggs can help you stay awake at work!